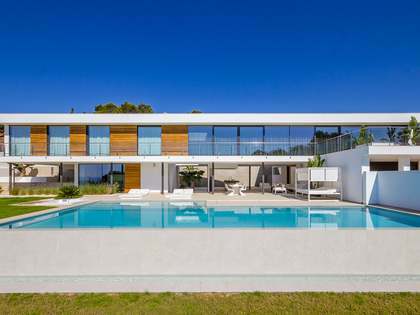 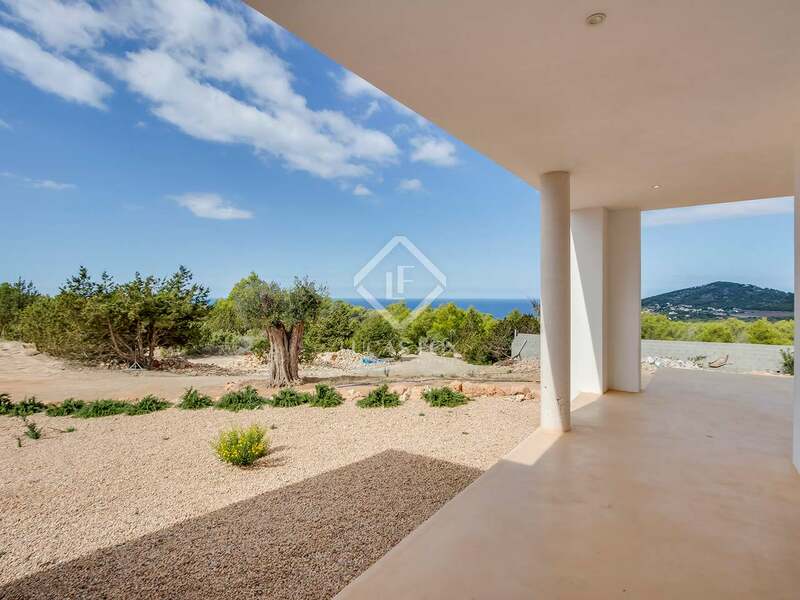 Superb modern villa with 8 bedrooms, 8 bathrooms and a magnificent pool looking out over Es Vedra by Cala d'Hort in Ibiza. 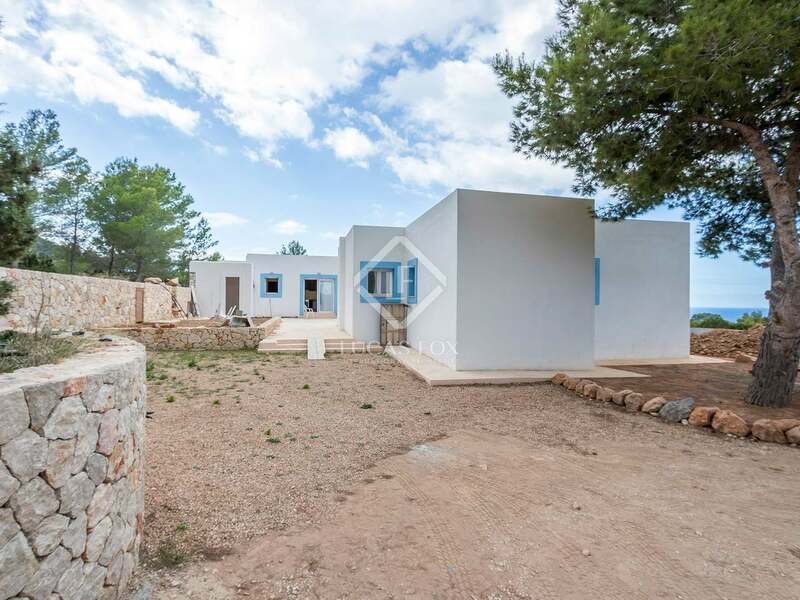 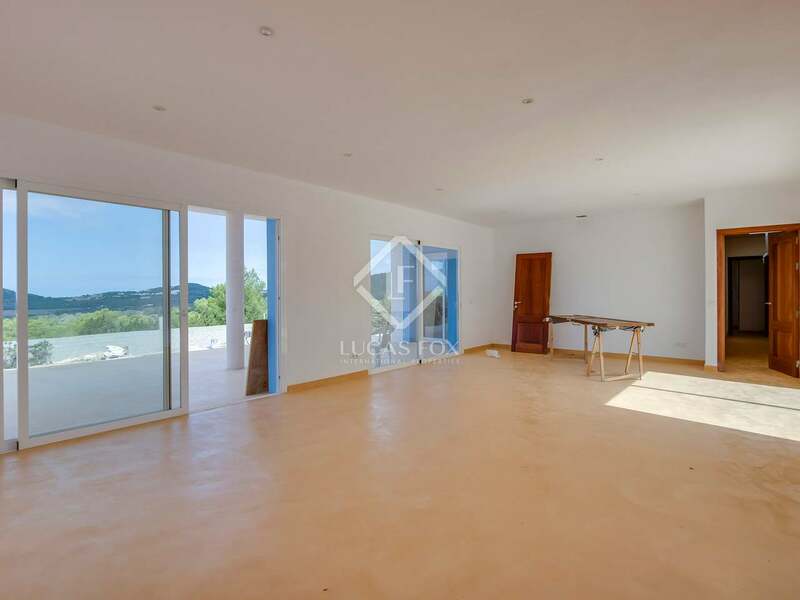 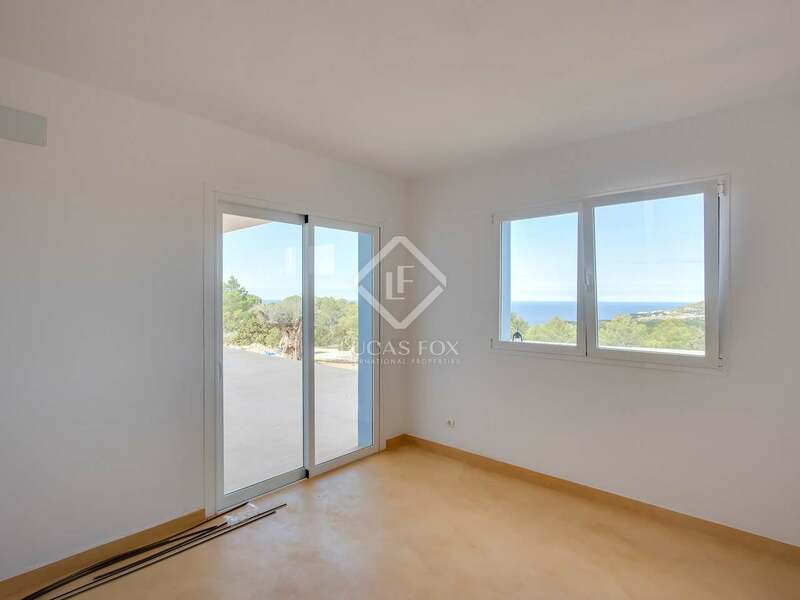 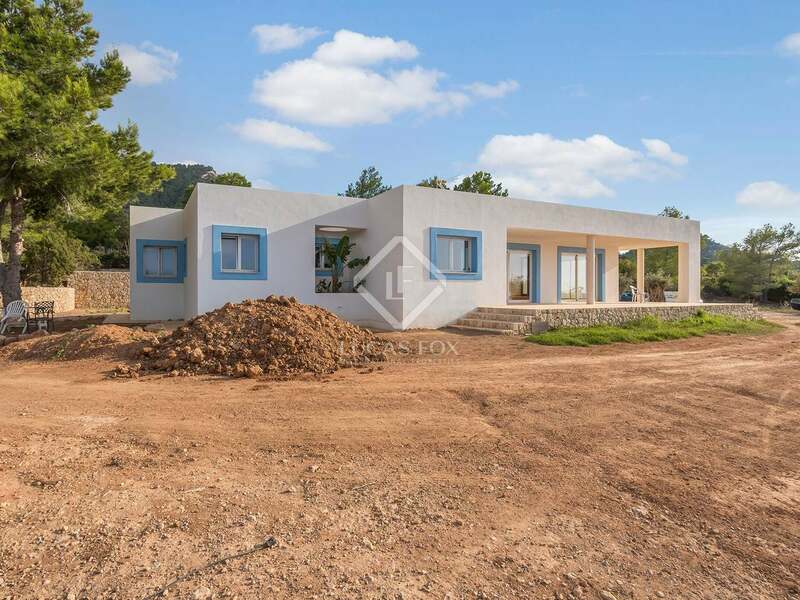 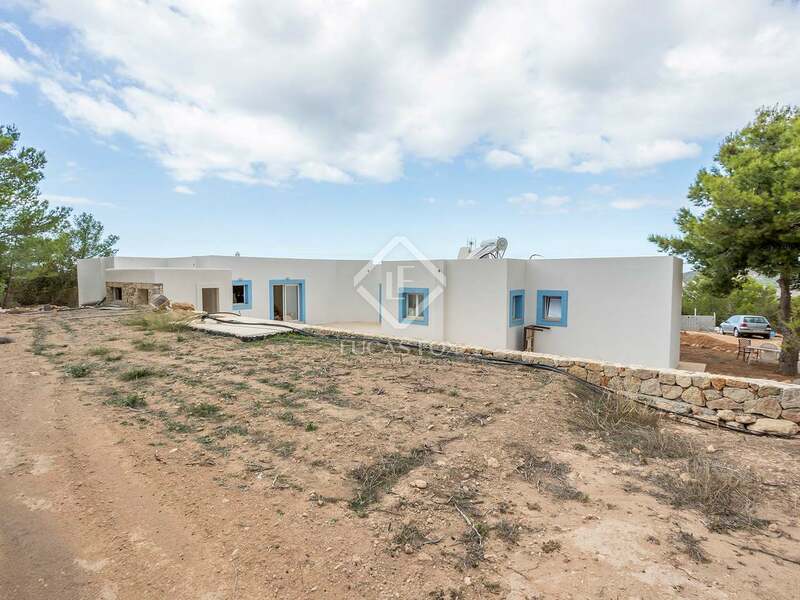 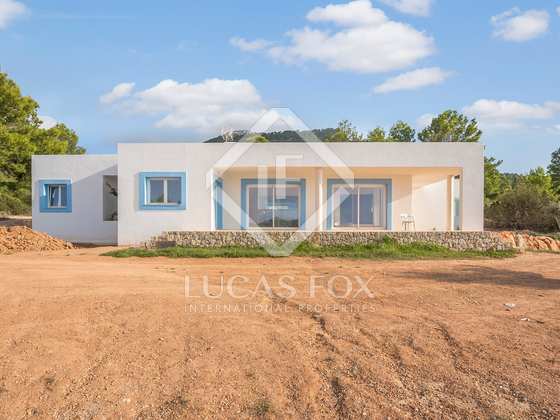 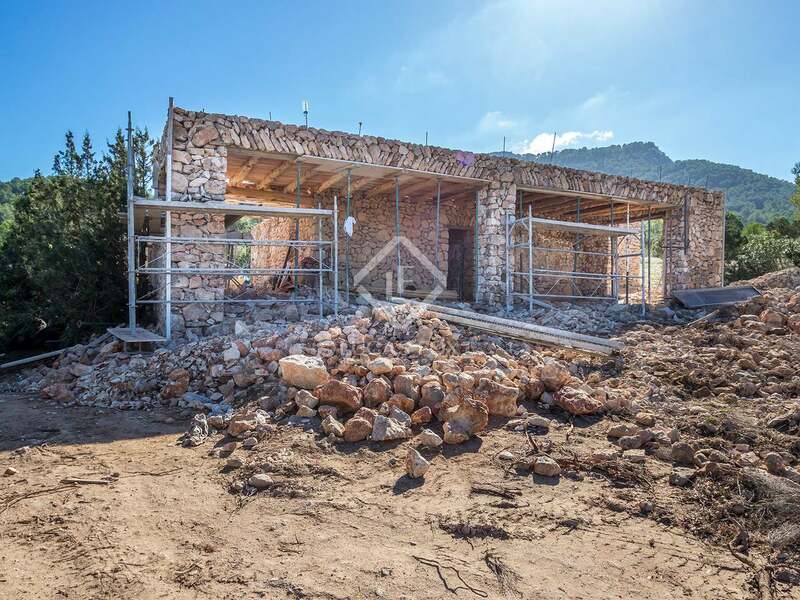 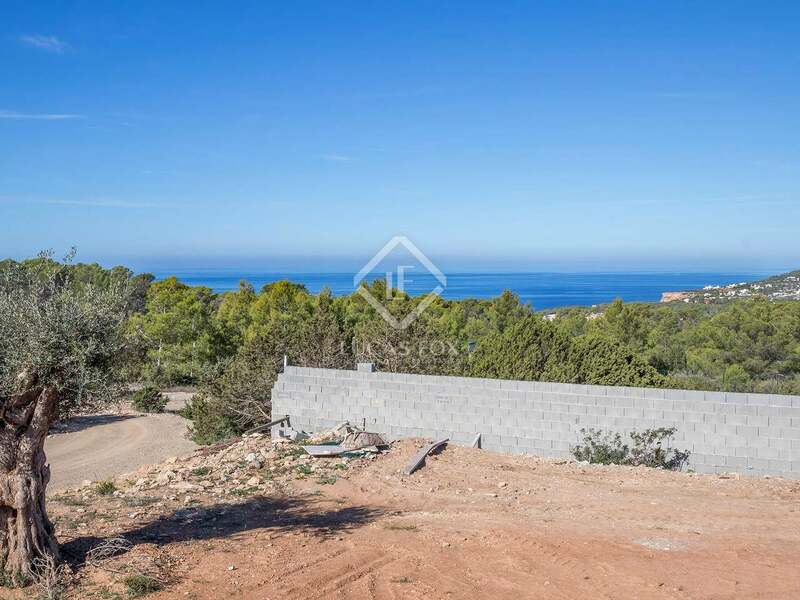 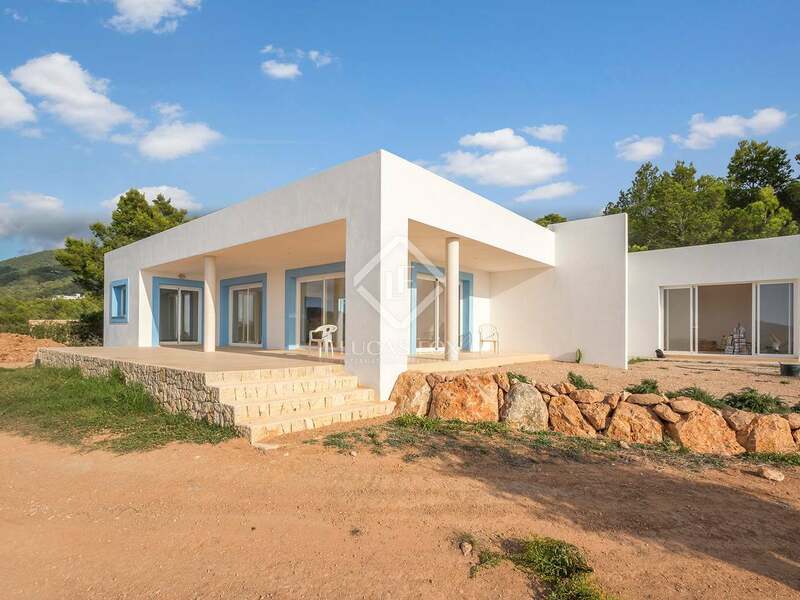 Modern villa under construction with impressive panoramic views of the famous rocky island Es Vedra by Cala d'Hort beach, in a very peaceful area of the island of Ibiza. 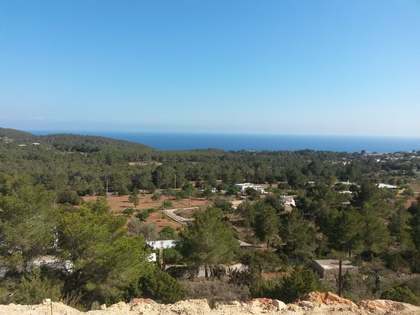 The beach and several restaurants are just 4 minutes away on foot. 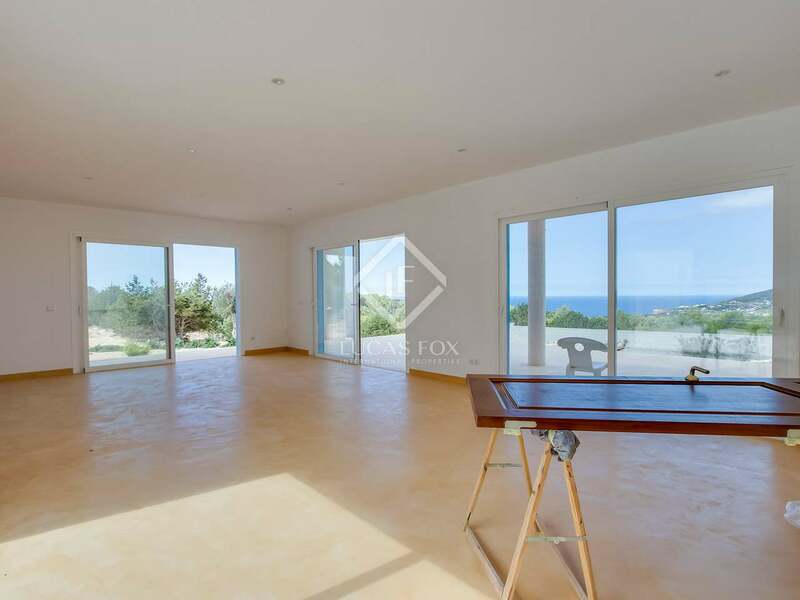 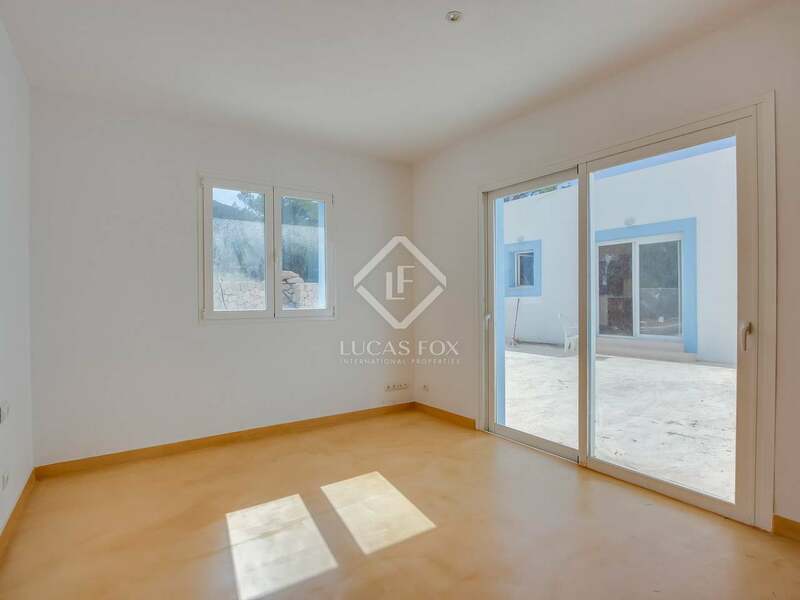 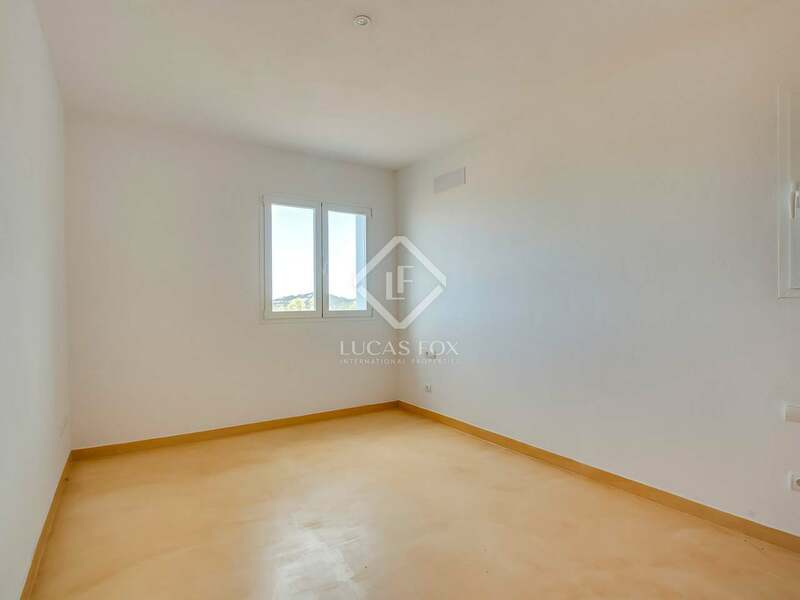 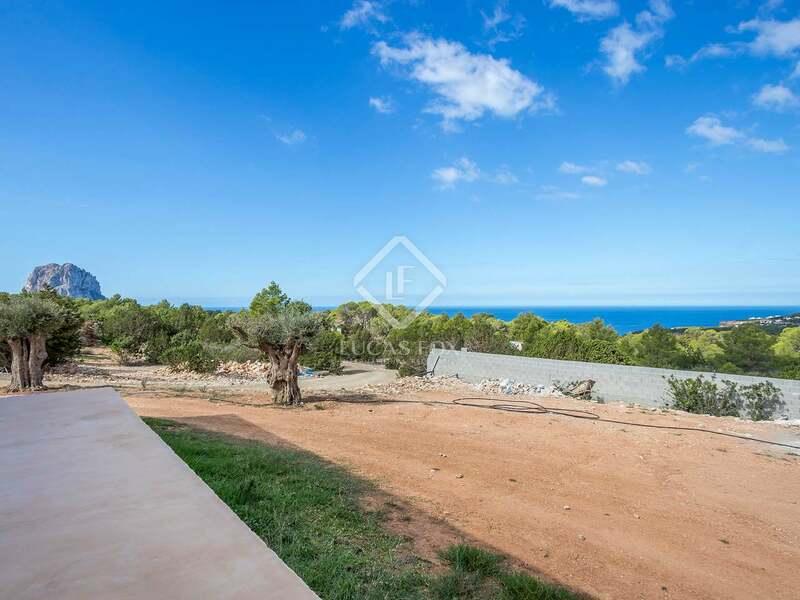 The property includes a large plot with a parking area, a garden with 4 marvelous olive trees and a pool at sea level, making it seem as though the sea is an extension of the pool itself. 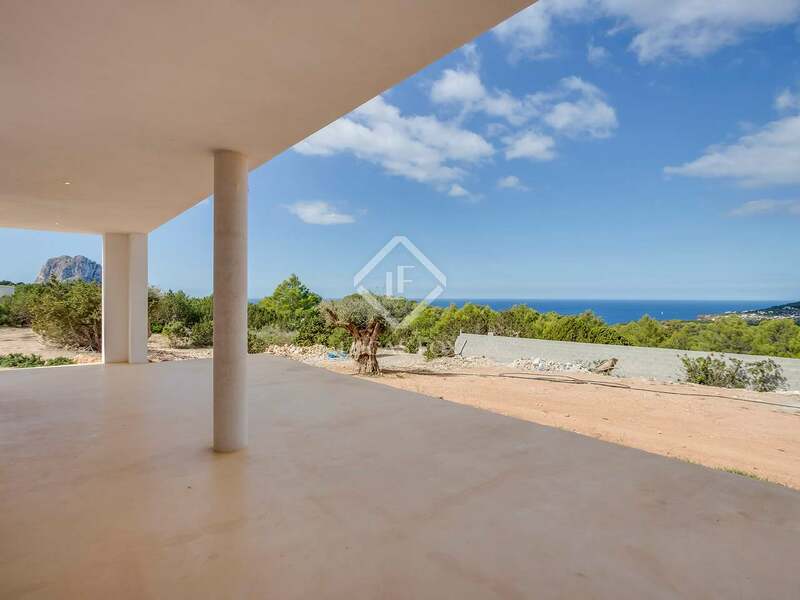 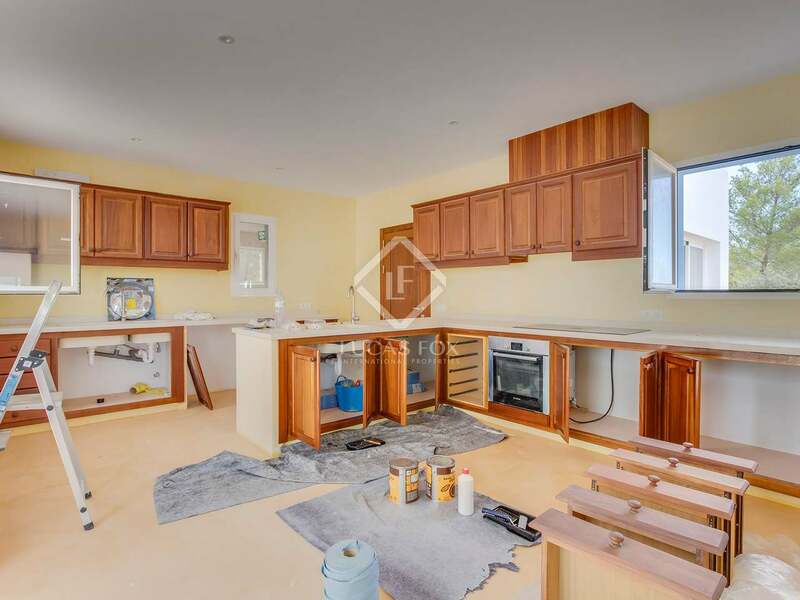 This exclusive villa is currently under construction and will offer a large living and dining area with an open kitchen, vast terraces and 8 bedrooms, all with their own bathrooms. 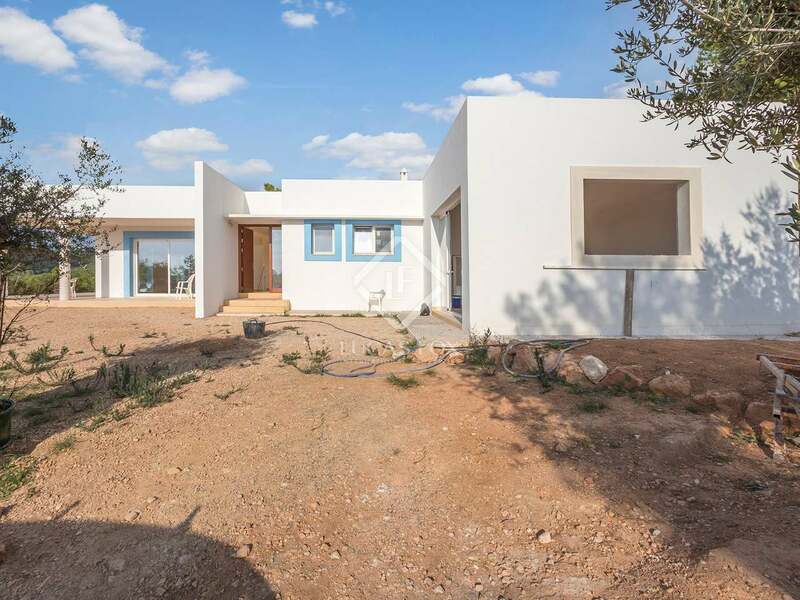 The project includes an attic office and solar panels. 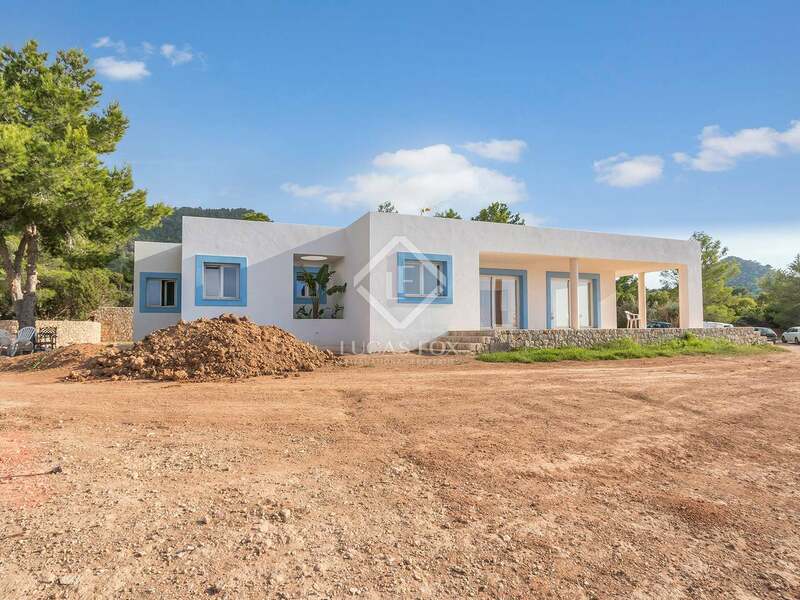 60% of the main house has been built and the service house, pool and 3 further bedrooms with their own bathrooms are still to be built. 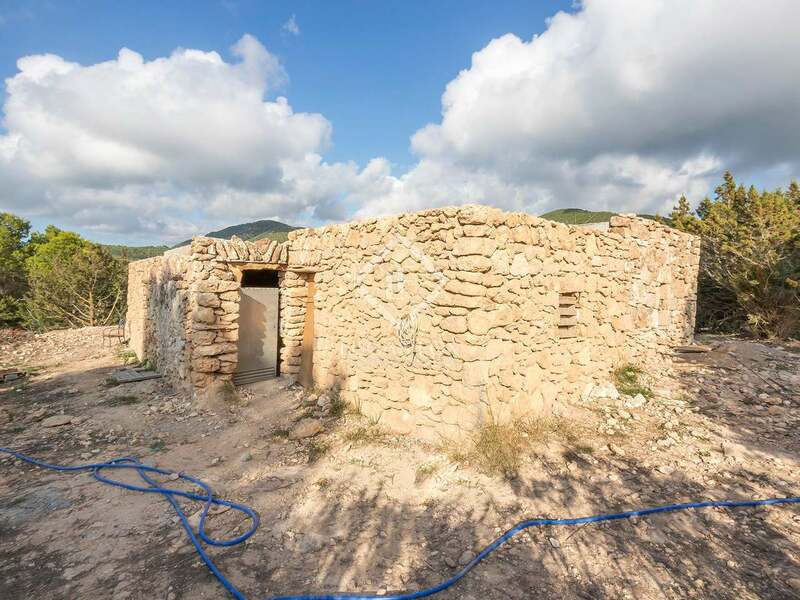 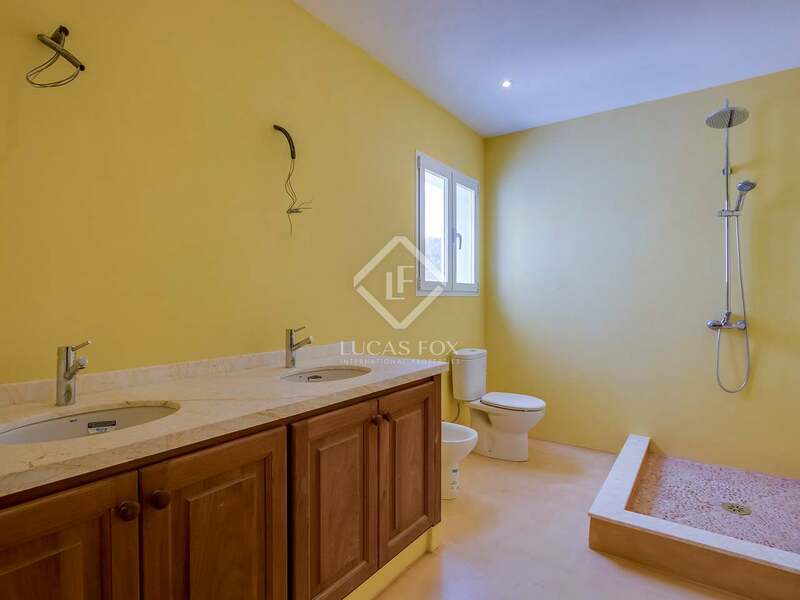 The property may be purchased in its current state for €6,300,000 or for €8,000,000 completed. 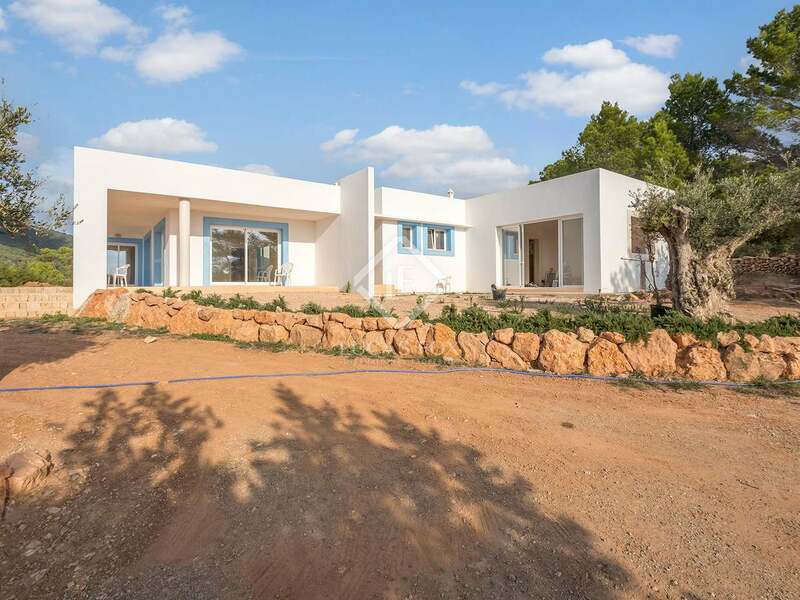 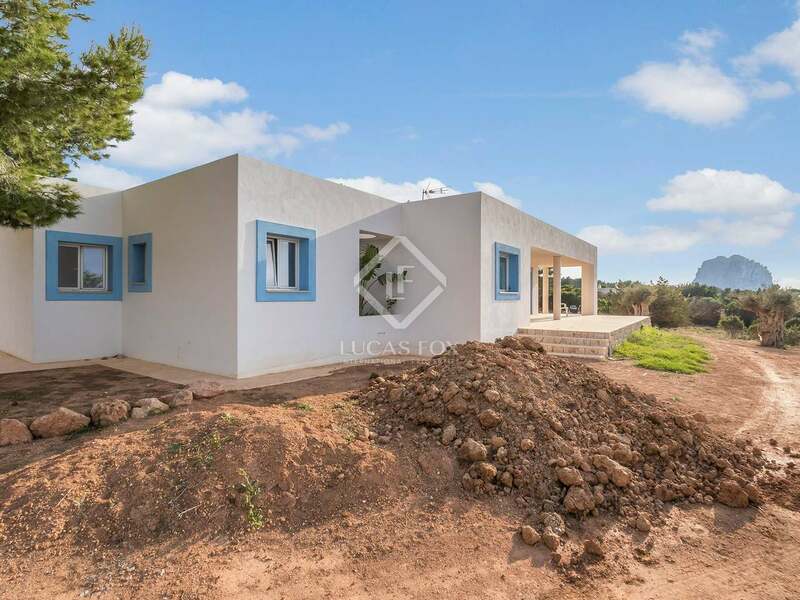 The plot measures 37,600 m² and the new house will appear in the Nota Simple with a built area of 330 m². 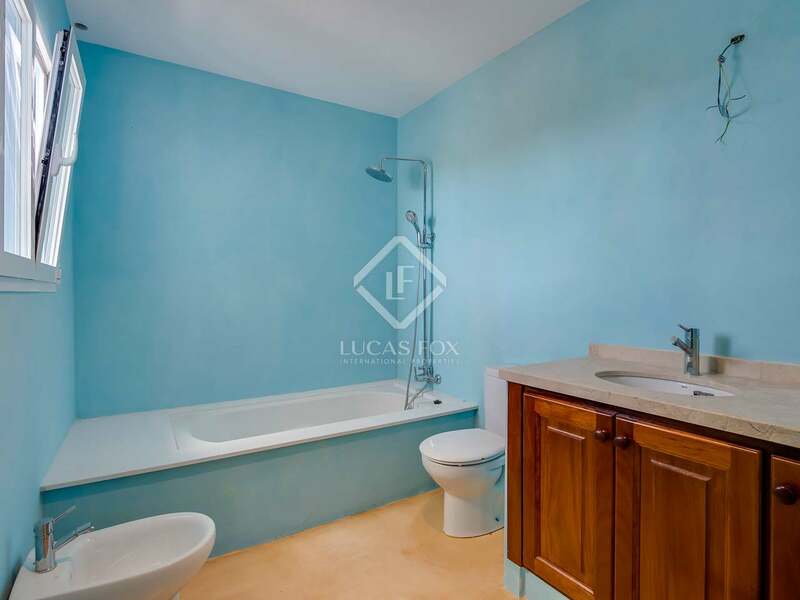 Ideal for a luxury family home or investment property. 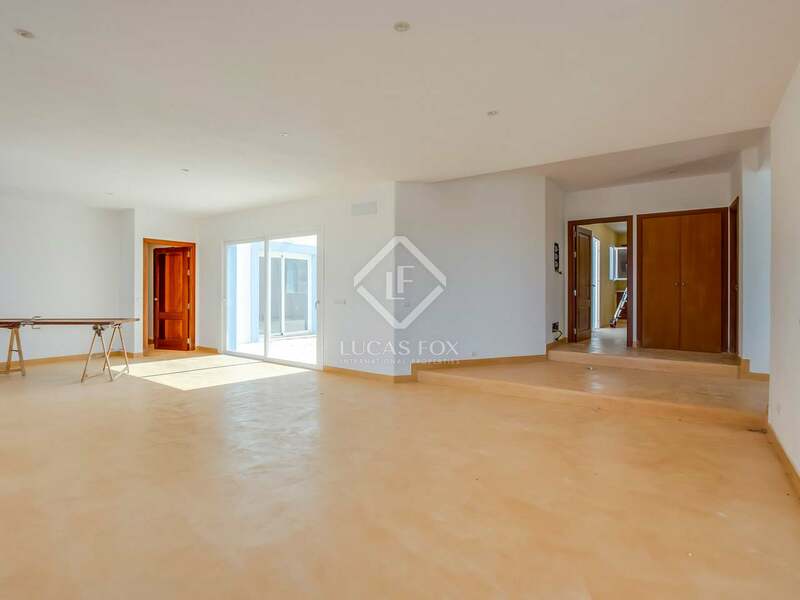 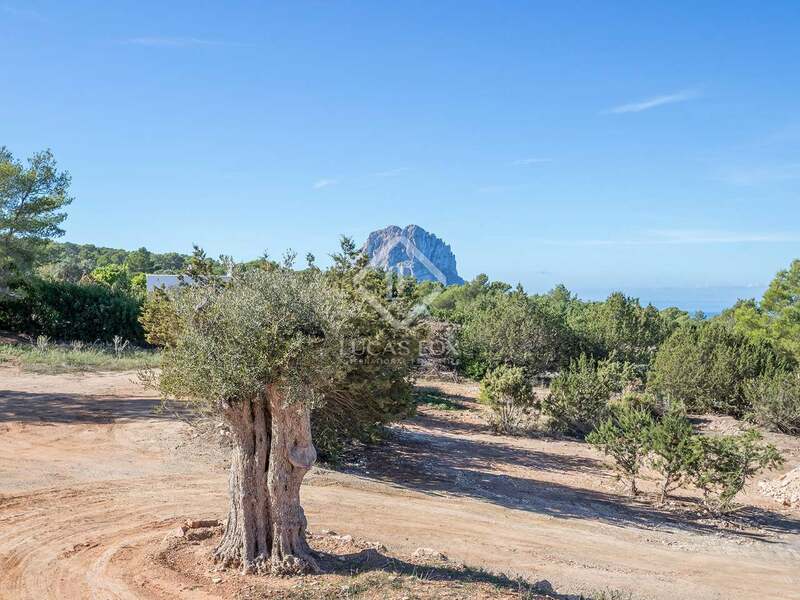 Villa in Ibiza, a 4-minute walk from Cal d'Hort and restaurants with beautiful views of Es Vedra. 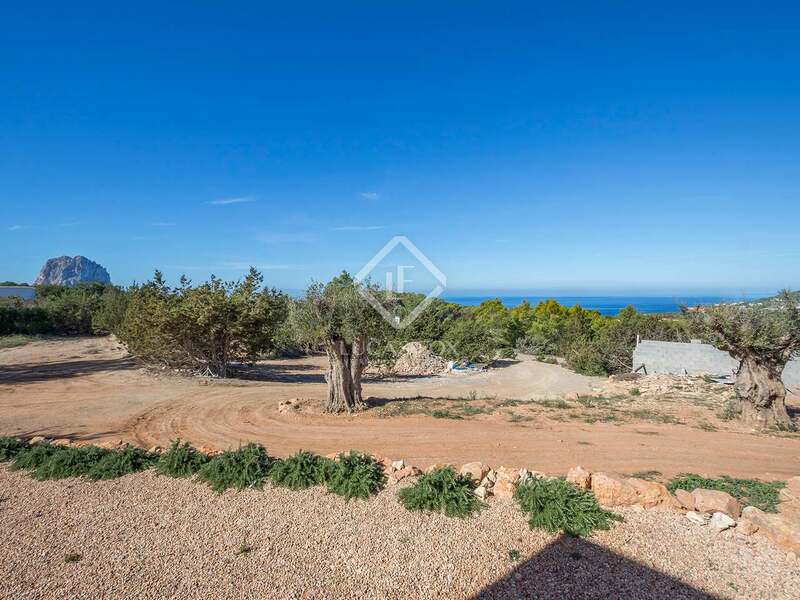 It is 15 minutes from the airport.